As heavy traffic and lack of parking becomes more of an issue in the CBD, our solution is to drive more. 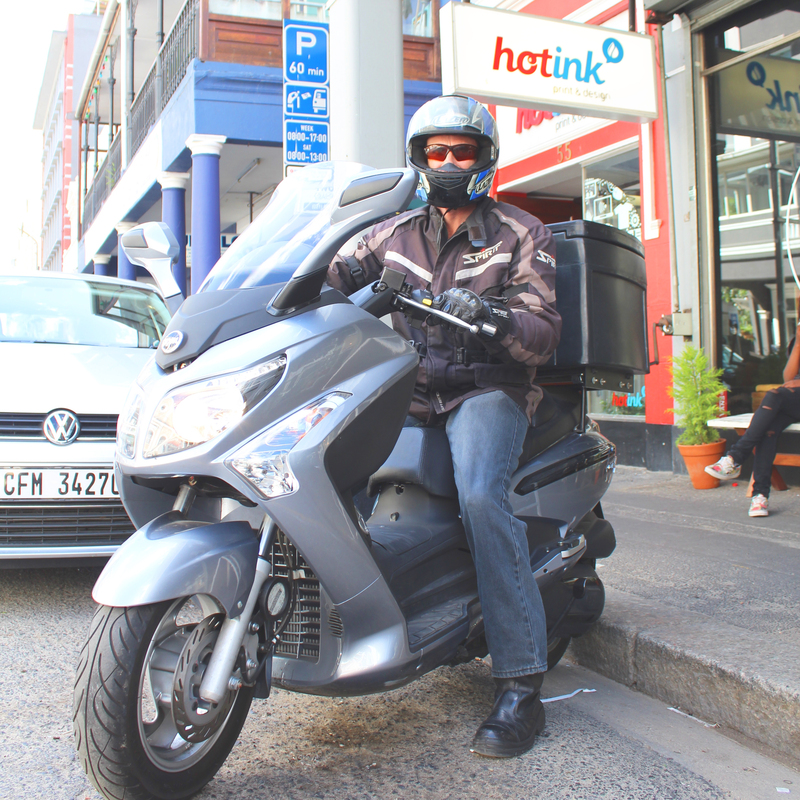 Equipped with a brand new SYM GTS scooter, our driver, Hamish, clocks up and average of 1750 kms per month delivering and collecting printed material in rain, wind and shine. If you are collecting a pre-paid job, you need not park: simply call the office when you are outside and we will gladly run it downstairs to you in Long Street.